When you're in college, there are going to be a lot of times that you're studying in the library or at a coffee shop with friends. You may find that you need a different work environment to concentrate or that your roommate and you have different schedules for sleeping and studying. When you're studying in a coffee shop or the library, you don't want to carry your study accessories in your arms. You'll find that you don't feel very organized when you do that. You can't find a certain pen or pencil, your sticky notes have disappeared, and the bookmark in your novel fell out outside the library and got dirty, so now you have to throw it out. 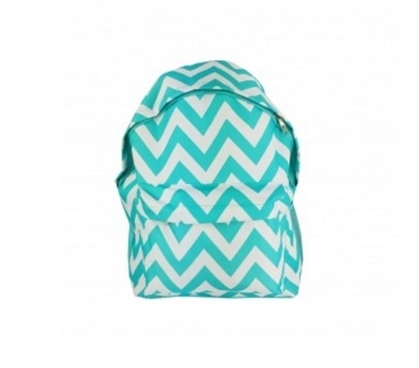 Avoid all that by carrying your study accessories in our Chevron Turquoise College Backpack. 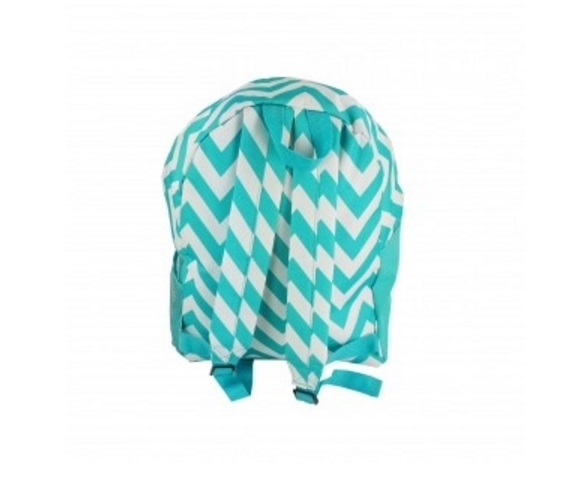 Our Chevron Turquoise College Backpack has a trendy turquoise and white chevron pattern that looks great, allowing you to add fun style to something that isn't that fun. This dorm necessities item has a main compartment that will keep your notebook and tablet or iPad separated from your writing utensils. Nothing is worse than writing on the cover of your iPad because your pen cap came off in your travels. Our Chevron Turquoise College Backpack lets you avoid that by keeping your writing utensils and other small dorm essentials separated in the front accessory pocket.